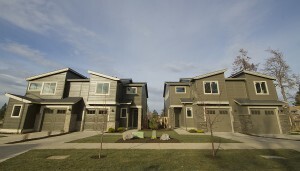 This weekend is the 25th Annual Tour of Homes in Bend, Oregon. The Tour of Homes is organized by the Central Oregon Builder’s Association whose mission is to promote high ethical standards within the building community. The Tour of Homes is a great way to spend the weekend. There are 60+ homes that can be viewed in the Bend area. They range widely in price point and are all examples of high building standards. Please learn more here. The Ladd Group has two homes featured on tour, The 8th Street Cottages & a Greg Welch Custom Home at Tetherow Golf Club. Please visit us at both of these homes!